BARN-FIND CARS: MY DEAL OF THE CENTURY! Stephen Cox blogs about the collector car that didn’t get away. “Barn-finds” really happen. In the mid-1990s my Dad was visiting an old high school buddy in southern Indiana. As they talked of the good old days, my father noticed a dirty, old car sitting inside his friend’s barn. 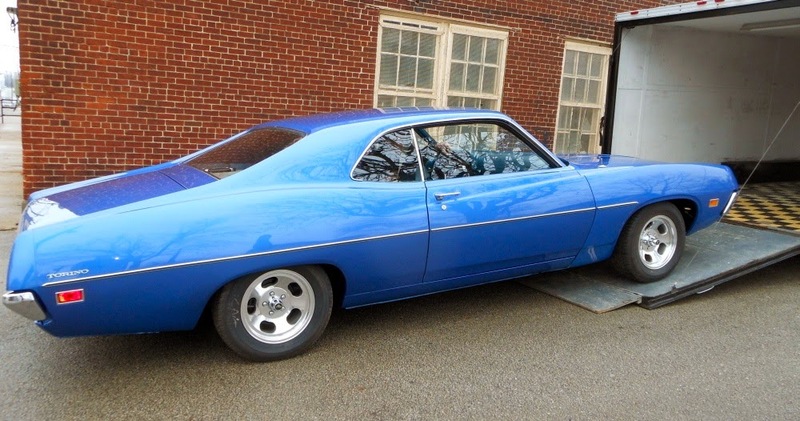 It was a blue ‘71 Ford Torino. Three years passed and I totally forgot about it. Then I got the phone call that every car collector dreams about: “Would I like to buy the car? Yes. But I had no trailer. Could the car be driven home?” Maybe. It ran well enough to back it out of the barn, and that was the first time the car had been started in years. That’s all anyone knew. Dad and I drove back to southern Indiana. The car was heavily rusted and covered in dust. Hay had blown from the barn loft into the engine bay, interior and trunk. A closer inspection of the car showed that it had a 302 V8 engine, just like the car I’d had when I was a kid. It had the same paint code, the same options and an identical interior. 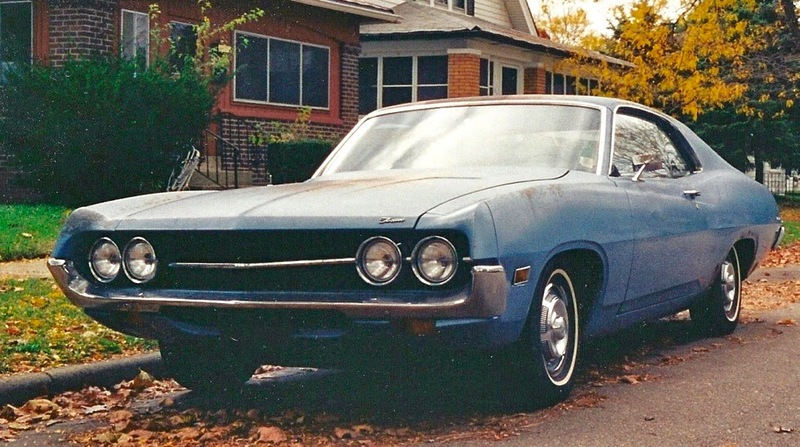 By some cosmic miracle, the only difference between this Torino and the one I’d had in high school was the VIN! After some tinkering and coaxing, I came to the entirely unjustified conclusion that the car could make the hour-long trip back to Indianapolis. The owner asked for $300; I offered $250. We settled on $275 and I drove the car home. After a thousand dollars and two trips to the mechanic, my Torino ran like a champ. Wide radial tires and Anson Sprint slots spruced up the car’s look, and a new dual exhaust system with glass-pack mufflers gave it a deep, thunderous rumble. metalflake. Topped with multiple layers of clear coat and buffed to perfection, the paint looks about six inches deep. My original car never looked this good! I would be remiss if I didn’t take a moment to thank the vandal. Without his unimaginable stupidity my Torino would never have looked this good. He was unwittingly part of a bizarre chain of events that began with a true barn-find and ended with a show-stopping classic. Keep checking those barns, folks. Every now and then something really amazing hides inside!